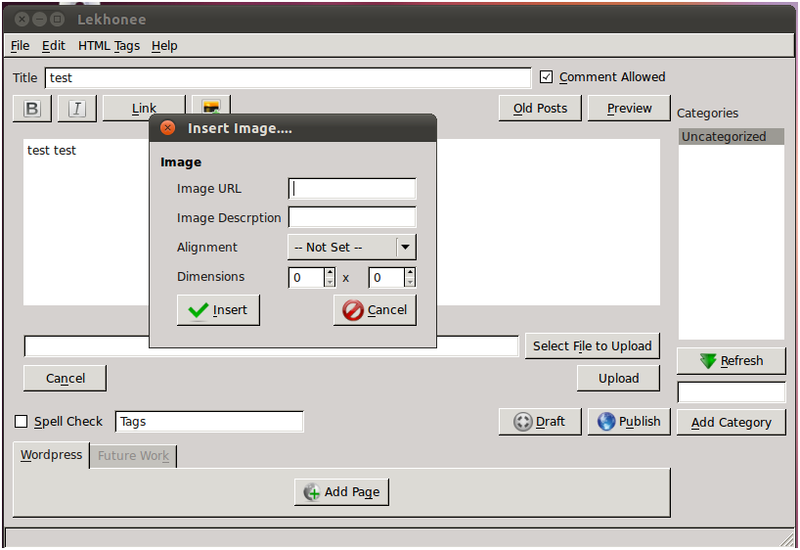 Offline editing, including addition of images. Works with wordpress, particularly the xml-rpc posting. By default, it splits the browser horizontally and give you the lower half as the blogging interface, however you can change this in the settings to open in a new tab or browser. You can setup multiple blogs & sites in the right sidebar, and a bonus, you can post a single article to all of them, or so that’s what I think. If you are offline, you can save the content of your post as a note, and once connected you can then publish, and I didn’t notice a limitation of how many notes you can save. There is the ability to even search through multiple notes, using the right side panel, along with managing your blogs, previous entries (if online), post categories, and such. Being I like to upload media with the bulk majority of posts, this application is not my solution. Outside that, this would be my number 2 selection as per the fact that it is platform independent. This is not what I am looking for. “Blog Entry Poster” is not my solution. Upon trying to install, it instantly errored out on a python dependency on my Ubuntu 11.04 system which is up to date. I decided to go ahead and try the KDE version, installing it while I was at lunch. Lekonee is not my solution. And I cannot seem to find a way to load existing posts. 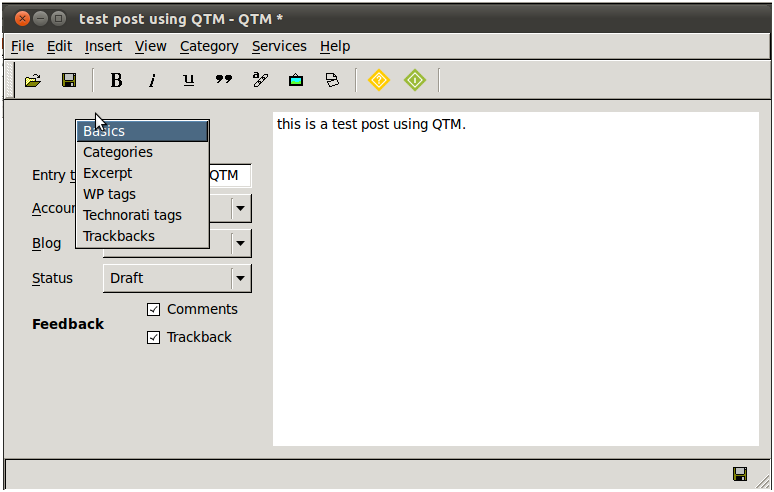 QTM is not my solution. BloGTK is not my solution. Drivel is not my solution. So I guess some kind of fight happened between the debian and oracle? Because when I install “openoffice.org” from ubuntu repositories, I end up with LibreOffice. Moving forward, I am simply going to assume there is no software that meets my requirements in the Ubuntu Linux world. Maybe later, I will familiarize myself with RedHat or CentOS, though my preferences really are BSD or Debian Based. You can set up numerous site accounts and blogs. The ribbon has everything you need, categories, tags, post date. You can add pictures & videos upon publishing which get uploaded upon publication. 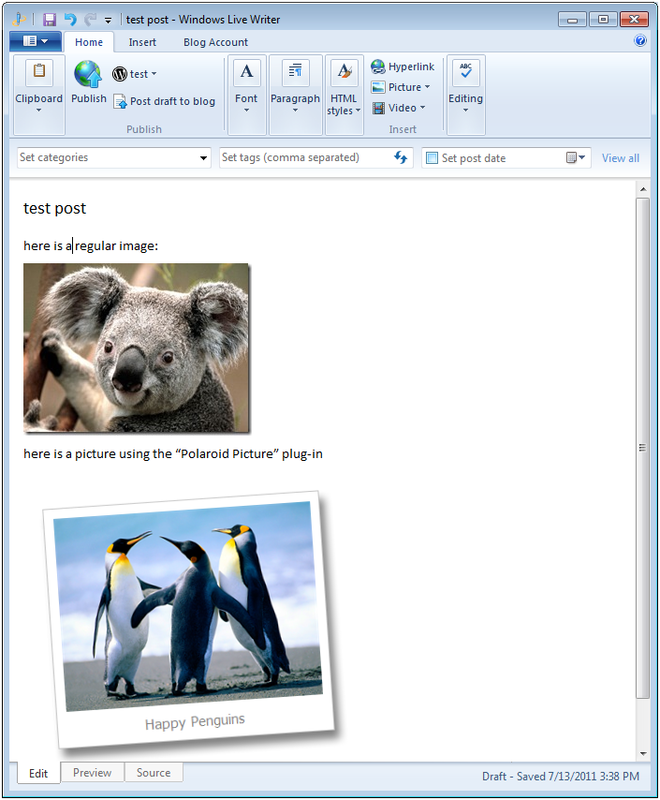 Support for adding images from clipboard, which is awesome when coupled with snipping tool. no need to deal with cropping images. One problem with this is there is no way to name images, which can destroy some SEO tactics. Images automatically get a nice 3d shadow, and can be resized easily. You can load previous posts, and save them locally. I really hate to admit it, but Microsoft… You have my solution. 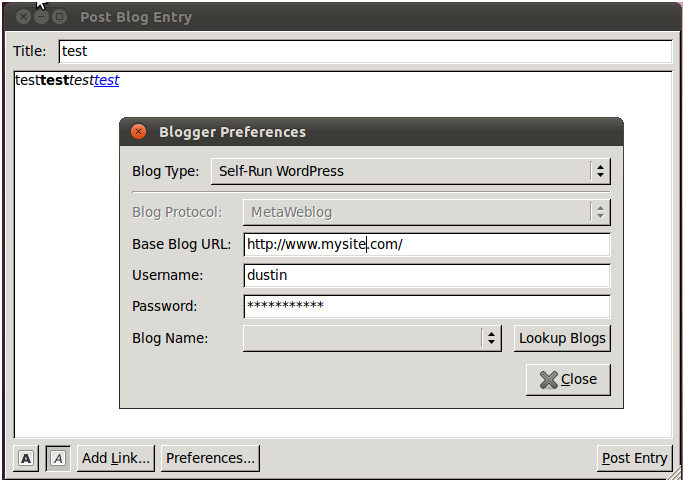 If any readers find a linux alternative to Live Writer, i am begging you, pleeeeease leave a comment in the regard. I really do not like Windows on my home computers.